Oh The Reasons We Love Dr. Seuss! Today is Dr. Seuss’ birthday! To celebrate his life and legacy, let’s look at all the reasons to love Theodore “Seuss” Geisel! 1. “Zoyce” is the German pronunciation of Seuss; however, Seuss liked that “Soose” rhymed with Mother Goose, so he adopted the pronunciation. 2. Seuss’s father would dream up complicated inventions in his spare time, like the “Silk-Stocking-Back-Seam-Wrong-Detecting Mirror. This explains all those wacky contraptions in Whoville. 3. Shockingly, Seuss was voted “least likely to succeed” by Casque & Gauntlet, the senior society he belonged to at Dartmouth College. He really showed them! 4. Although Seuss once attended Oxford University, with the encouragement of his fellow student and future wife, Helen Palmer, he quit school to concentrate on building his art career! Not an easy decision to make, but we’re all so glad that he did. 5. Dr. Seuss is credited with inventing the word “nerd” in his book If I Ran the Zoo as early as 1950. 6. Green Eggs and Ham was written because Seuss took a $50 bet that he could write a book with only 50 words. He could. 7. 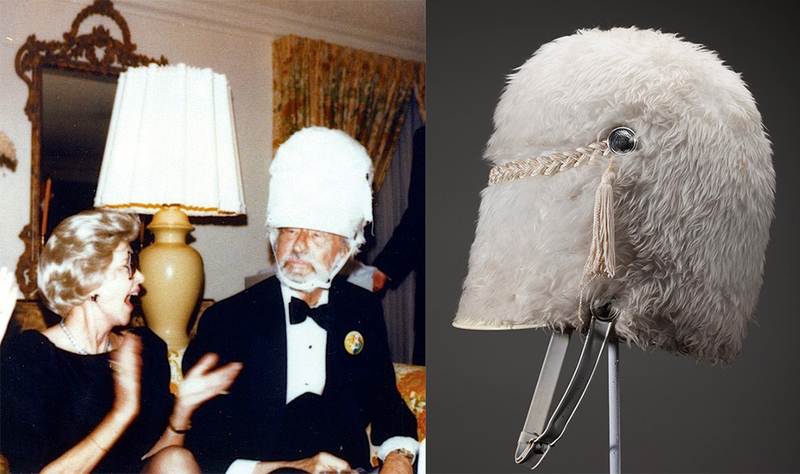 Dr. Seuss kept a closet full of wacky hats. Whenever he came up against writer’s block, he’d put on a suitable hat to help the words flow. 8. He reportedly would write every day for eight hours. Now that is dedication! 9. After WWII, back when he worked for a magazine, Seuss travelled to Japan to do research for an article. While there, he asked children to draw what they wanted to be when they grew up. This stirred up his inspiration for Horton Hears A Who. 10. Horton Hears A Who was inspired by Seuss’ time in Japan. After creating racist, anti-Japanese propaganda, Seuss realized his mistake during his trip. The idea “a person is a person, no matter how small” had much to do with the country just emerging as a democratic nation, and people gaining the power to make their own decisions and empower their own voices. 11. 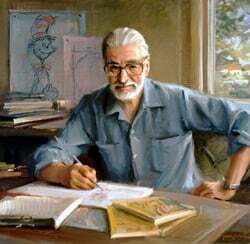 Seuss was awarded the Pulitzer Prize in 1984 for “his special contribution over nearly half a century to the education and enjoyment of America’s children and their parents.” He was the first person to win the Pulitzer Prize for writing children’s books. 12. Seuss became dedicated to creating books for early readers after stumbling across an article about American children having trouble learning to read. The man had a goal, and boy did he achieve it! Photograph of a young Theodor Seuss Geisel. | Image via The national Center for Children’s Illustrated Literature. Many of these facts and more can be found in author Janet B. Pascal’s insightful book Who Was Dr. Seuss.